Here is another Cheng,Bindi game, this time from round 8 with Cheng on the white side. White had chances to take the upper hand in the topical g3 line. The position is tense. The mobile pawn center is white’s major weapon. What should white do next? The battle lines are clearly marked. Black wants to destroy the pawn center and white’s king. White wants to push forward. How should black proceed? 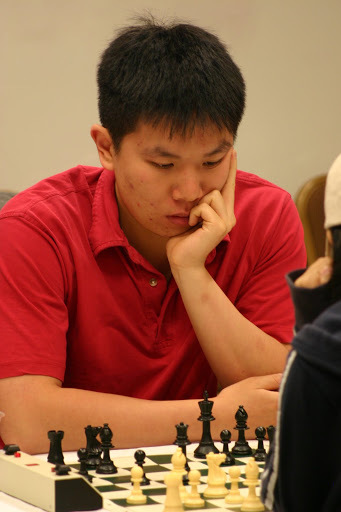 IM Bindi Cheng(CAN) was on both sides of the Benoni in the North American Open Las Vegas 2012. Here is one of his games. White has a stable endgame edge to work with. Black’s pawn structure is weak and the passed a-pawn is a key factor. How should black defend?